So much loveliness to go “Ooh” and “Ahh” over. I love the new approach to suckers, I might have to try that! ‘Pagoda’ is a wonderful plant, I had a single clump in my last garden, it never grew any bigger, only ever gave me three or four flowers, but they were worth it. Come Autumn I am going to have go at establishing some here. 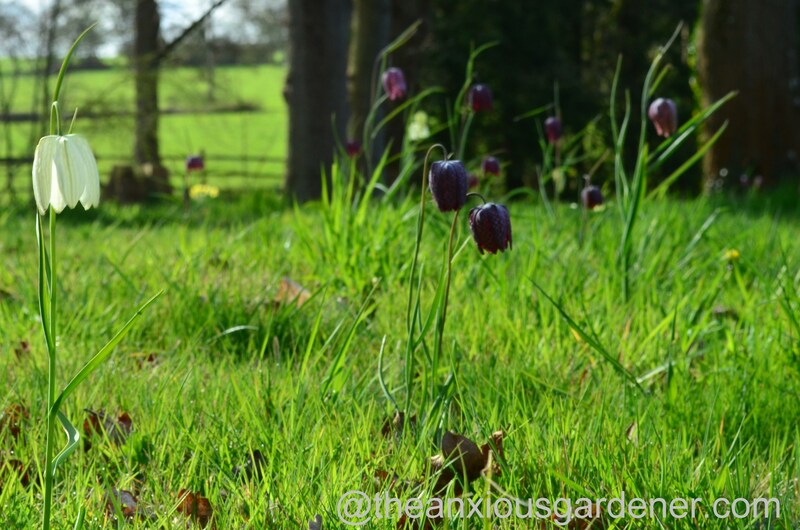 I might even branch out and try a different one too… Happy frit seed sprinkling! I planted another variety as well as Pagoda. 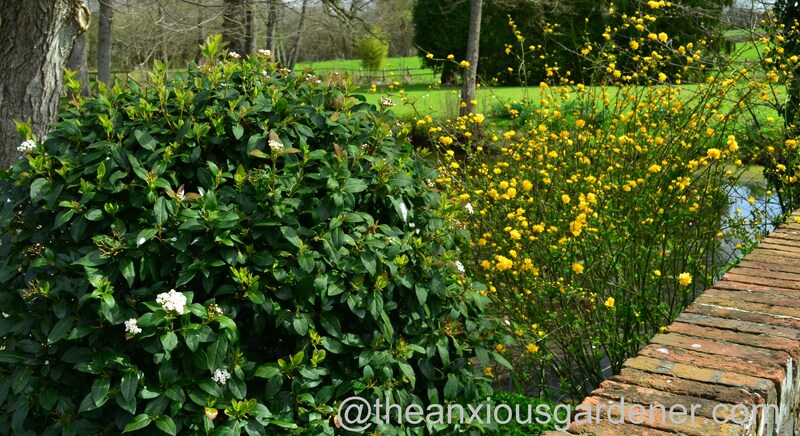 Each year I can see three or four sulky plants but they haven’t flowered once in about six years. Wretches. But I shall follow your lead and plant more Pagoda I think. Great photos – thank you. 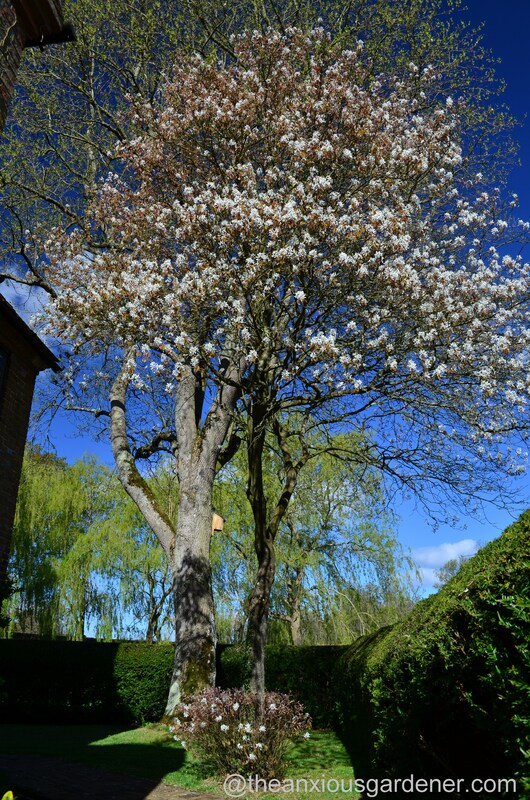 The Amelanchier sucker looks fantastic. 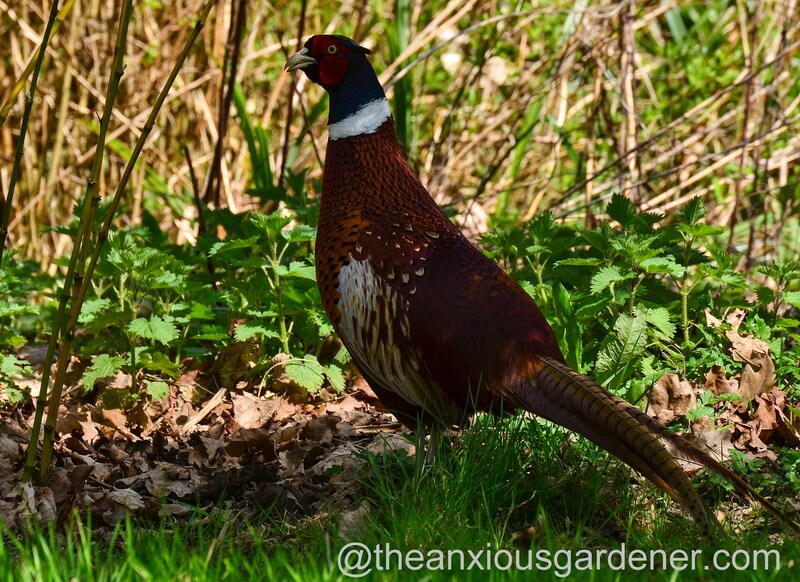 Sometimes it’s wonderful to let nature ramble a but. Hi Rej, thanks for that. We have loads of suckering willow and alder in the garden so removing the suckers from the amelanchier too seemed a job too far! 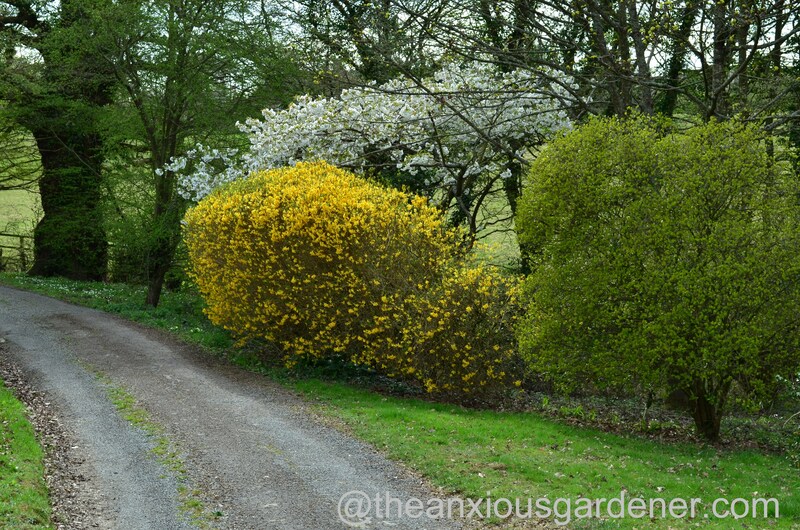 It is interesting that plants such as Kerria or Forsythia that are often dismissed as ordinary become wonderful when in flower. 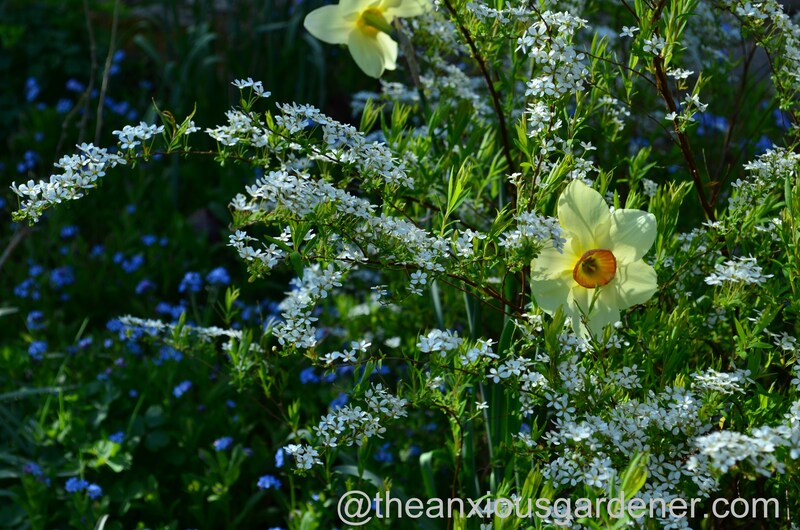 We have a Kerria with a blue alpine Clematis growing up through it. Absolutely beautiful. 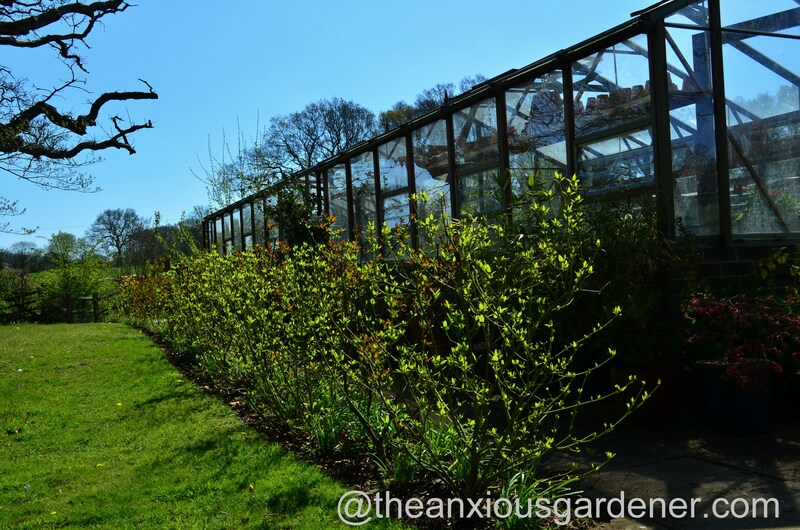 I like the idea of your dogwood hedge, I have never seen them used like this before. I love them in winter and birds perched on their branches are beautiful to photograph. This is your best work ever. I am enthralled. Everything is beautiful. I like your sense of humor. That’s very kind Robert. Thank you. 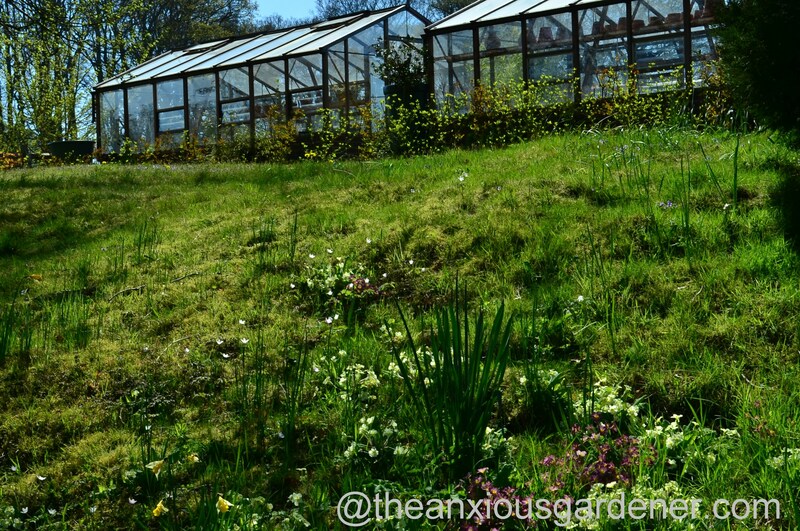 Yes, every view looks really lovely, especially the first shot of the bank below the greenhouses, thats quite beautiful. My neighbour grows Kerria along her side of our trellis boundary, I used to be quite snooty about its brashness but now I love the cheery flowers. AWESOME PHOTOS. 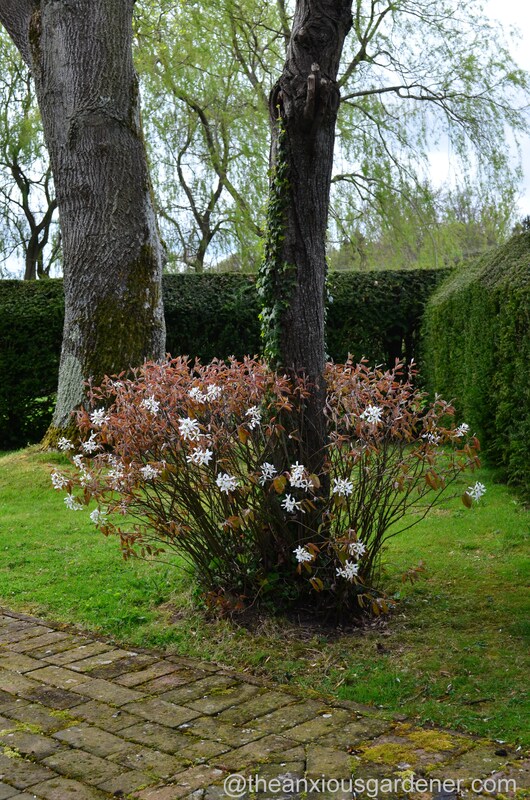 Great idea with the amelanchier! A beautiful walk at the Priory David! 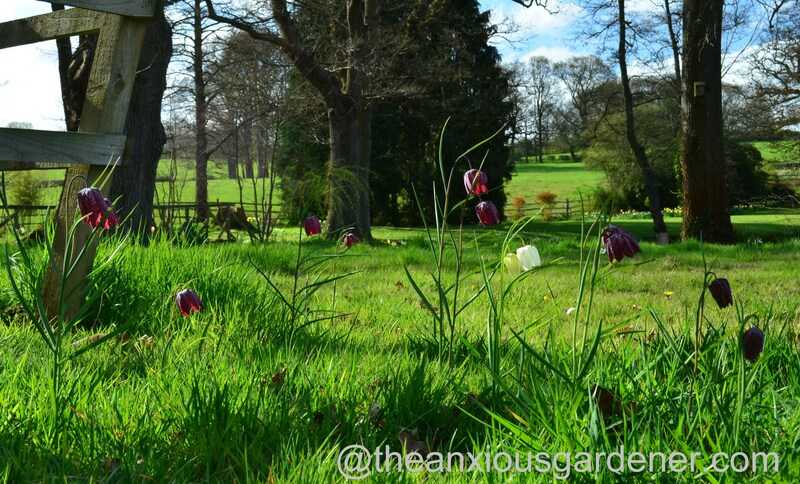 It’s great to see that Frtillarias are doing well there and establishing nicely, which is not always easy to do. 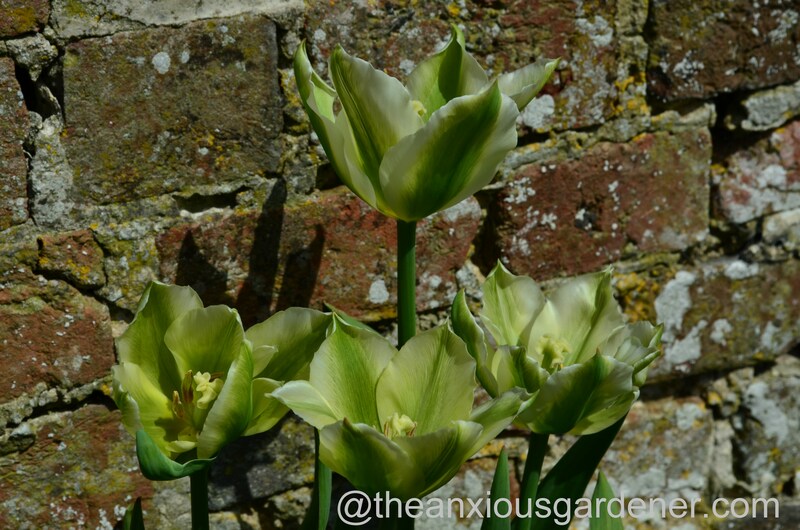 And that tulip that comes back every year is a treasure! Ah yes, the fritillary nibbler. I have one of those. With the same look of butter wouldn’t melt just after he has committed the crime. 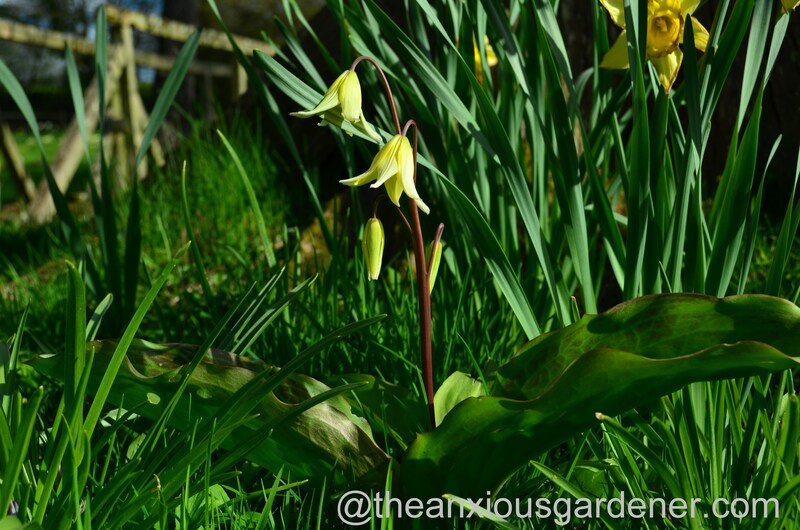 I have a lone erythronium too. 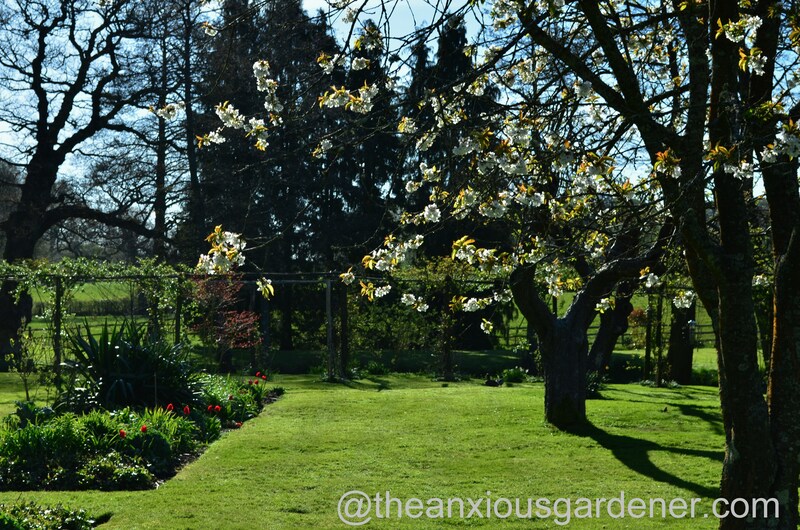 Gorgeous pictures of the garden, looking so lush. It’s a wonderful time of year. 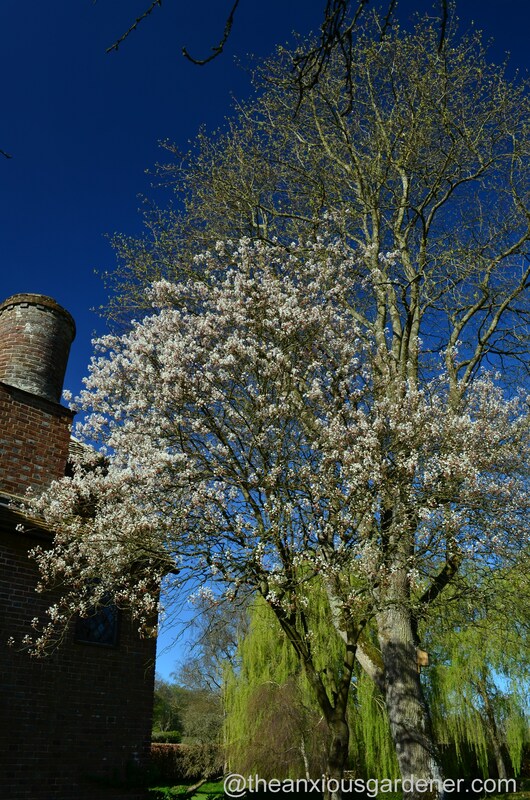 A lovely and glorious walk through of the Priory – spring is so wonderful! Ah, the ebb and flow of weather. Let’s hope the tide is soon coming in with warmer weather! 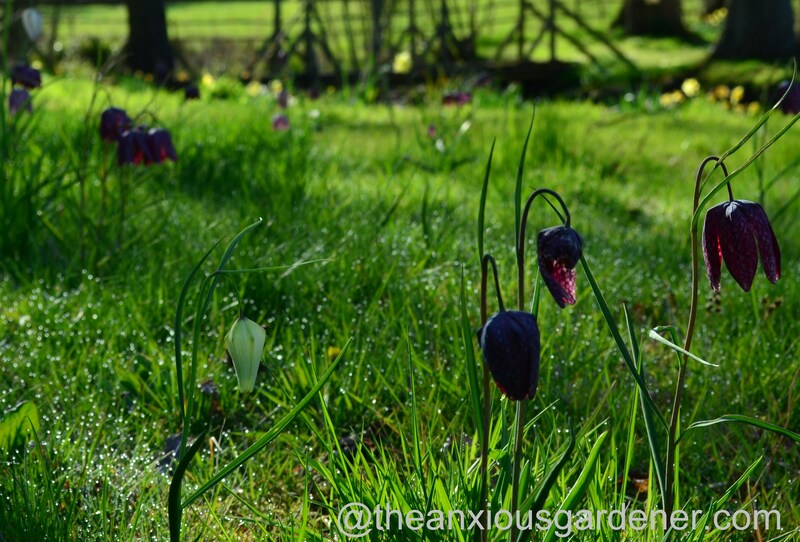 Spring is slow to get up steam here too, but here (and at your garden too) it is definitely worth the wait. Thanks for sharing! 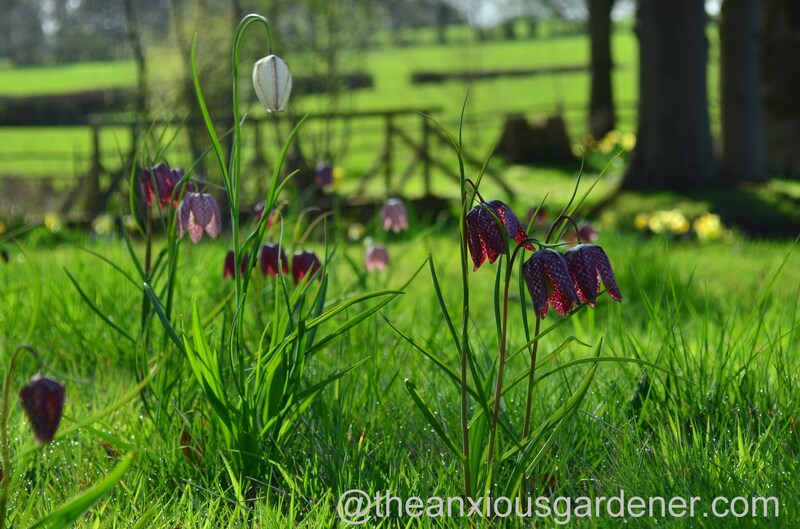 🙂 And now I realize that I gave up on the fritillaries at garden #2 much too soon; they are probably doing very well for the subsequent owner(s)! So beautiful and just what I would want a lovely UK garden to look like, too. 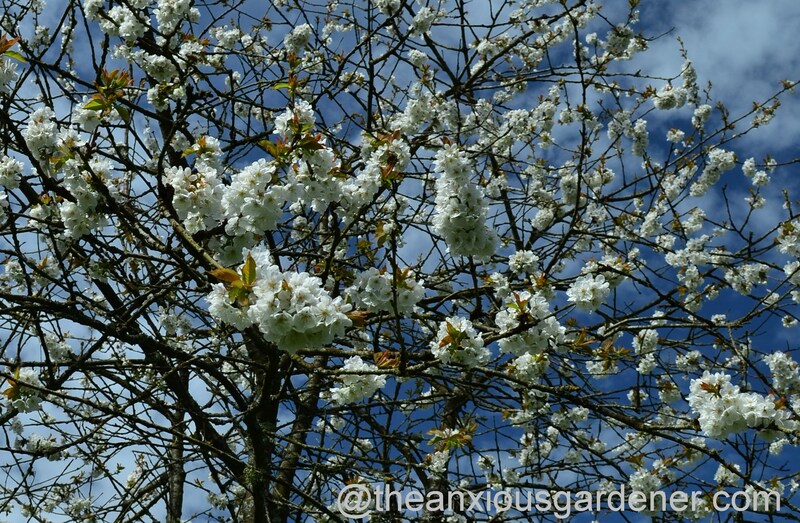 You seem to be having a lush Spring there as I am here in the US/South, Georgia. Wish I could walk there and take pictures but thank you for sharing. 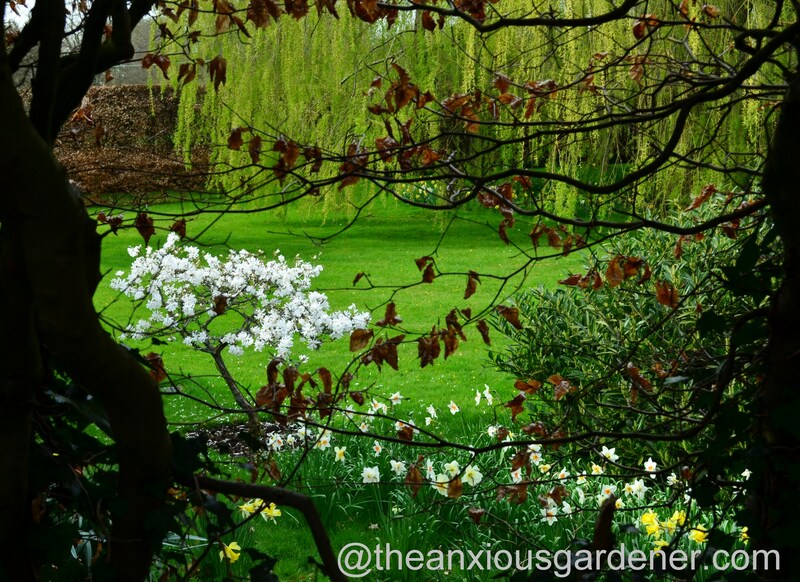 Just such a treat to see a garden that is obviously loved and well cared for as is yours. Thanks Carolyn. 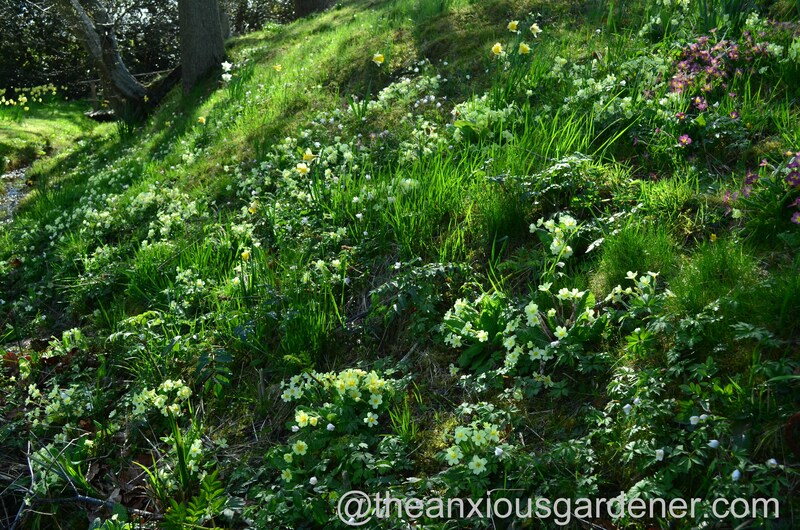 I really ought to take some more photos – I can’t seem to keep up with all the changes. And I’m about to go away again for a week. Cripes. Thanks for the lovely armchair tour this morning. The priory is looking alive! 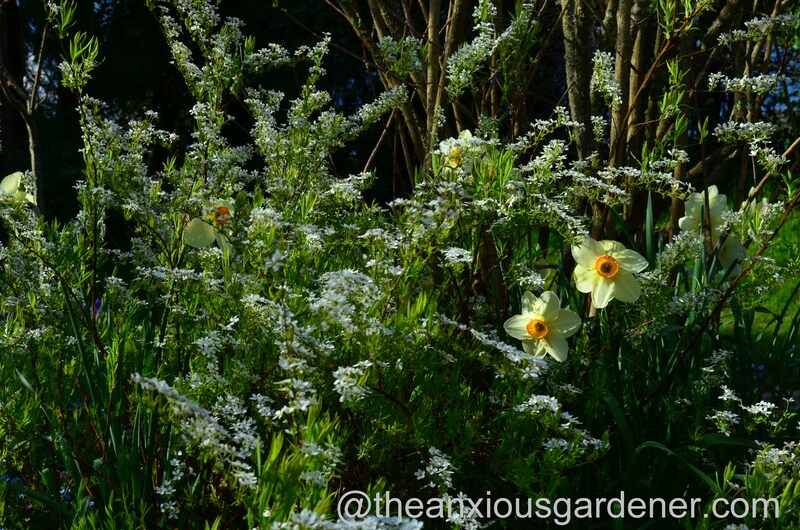 A lovely post, full of wonderful springtime plants. 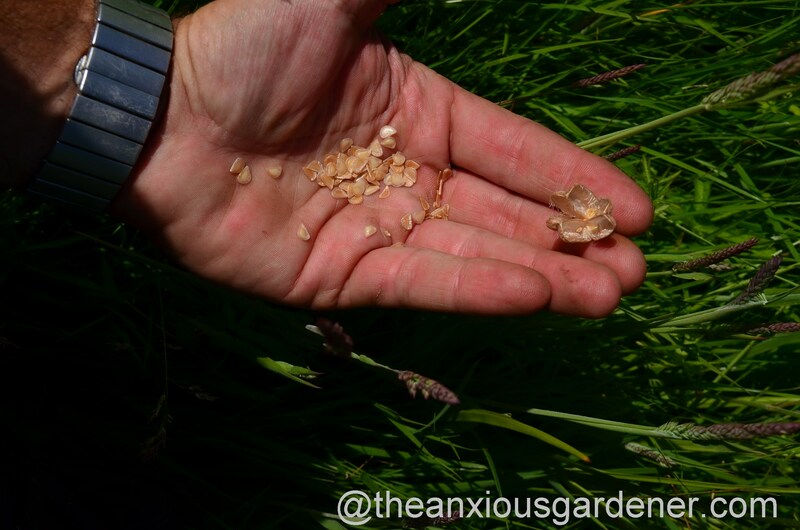 I never thought to collect the Fritillaria seeds, but mine are only growing in the garden and they look so much better in a meadow. 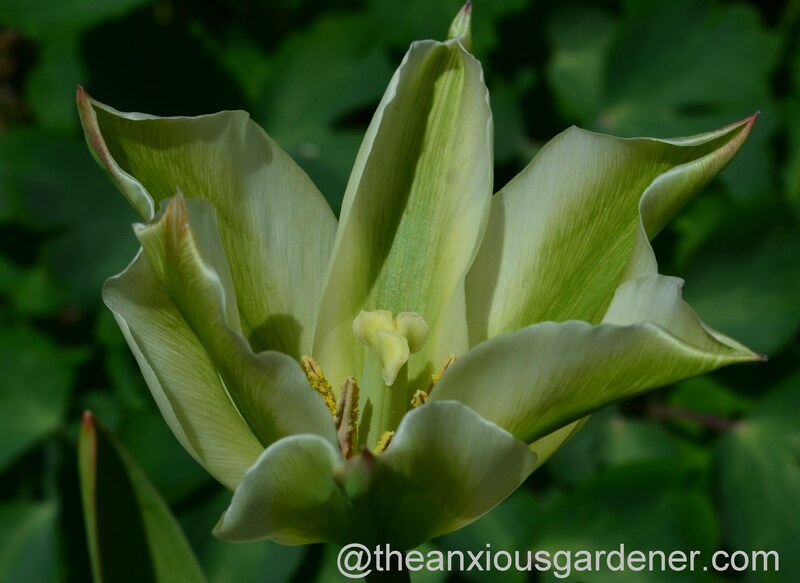 I have the same Erythronium in a very dry shady area and it has been magnificent this year, its second, with at least 10 flowers – not that I am trying to make you jealous at all! I really like the suckers that you have shaped – I wish my sycamore ones would look as good. Why, thanks. I grow quite blasé about the Priory and so it is very re-assuring to read comments like this. Glad you like it. I do! There’s great joy in seeing a plant develop and flower or even survive. I wanted to do a cartwheel – unfortunately never been able to master this skill – when I discovered a vine starting to flourish that I thought had died. The Priory gardens are lovely David. Thank you for showing its delights. You’re very welcome, Chris. If I could do a cartwheel, I would have done two this week. A couple of clematis which I was absolutely, completely and utterly sure were dead, reappeared. So that was nice. Job done then? I’m pleased!